When a person finally gets a diagnosis of chronic fatigue syndrome, it can partly be a relief after such a long diagnostic process but also a new stress involving learning to live with a chronic illness. 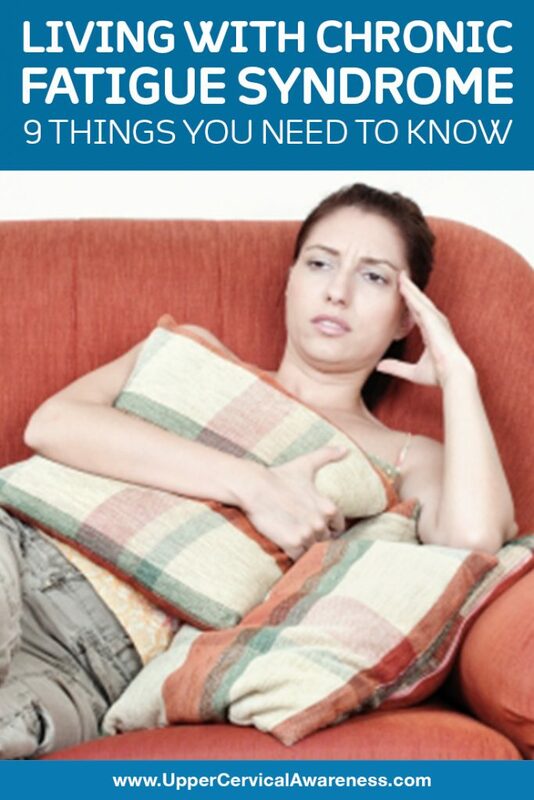 We’re going to look at 9 things a person should know about living with chronic fatigue syndrome. Not knowing what you are dealing with can make it tougher to cope with chronic fatigue. Now that you know what is going on and that you may have days where you need to rest, it is also good to realize that you may sometimes go days between flare-ups. So don’t feel like you will never accomplish anything ever again. If you are living with a person who is suffering from chronic fatigue, the patient needs your understanding and kindness. Displaying a lack of kindness by not being understanding when he or she needs a day or two of rest may actually exacerbate the condition and lead to more time between remissions periods. Exercise is actually really good for a person with a chronic pain or fatigue condition. However, overdoing it (even on a good day) can lead to a longer flare-up of symptoms and get you out of a good exercise routine. You may need to try graded exercises which start with simple stretches and build up to mild to moderate physical activity like walking or swimming (always consult a physician before starting a new exercise routine). One of the kids has a concert on Tuesday, the other has a recital on Thursday, and then your supposed to be a bridesmaid for your cousin on Saturday. You’re going to have some difficult decisions to make because the likelihood of being able to attend all three events is slim. Are the kids old enough to understand if you have someone record their performances for you so you can save your strength for the weekend? Can your cousin make do with one less party member so you can be with the kids? It’s a delicate balancing act. There will be some days that you had hoped to get something accomplished or attend a special event, and you’ll know from the second you wake up that it just isn’t going to happen. You can’t win every battle. Don’t become discouraged and stop making plans altogether. Being able to accept the fact that your condition is sometimes going to dictate what you can or can’t do is a part of the battle. If there are lifestyle changes that can improve your condition, make that a priority. Whether it is diet, exercise, or giving up bad habits like smoking, lifestyle changes that ease the impact of your health condition will make it more bearable and give you more energy to do the things you really want to do. Living with chronic fatigue often comes down to making choices. Some of the choices your condition is going to make for you, so when you get to make the decision, choose wisely. The most frustration will come from trying to pretend things are business as usual, even on the good days. That leads to overexertion and worse episodes. Taking things one day at a time and accepting that you need to live a new lifestyle will go a long way toward, having more and longer remission periods between flare-ups. Accepting help is actually a sign of strength rather than weakness. If the kids can help out with chores around the house, it gives you more energy to spend meaningful time with them, and it helps to teach them responsibility. If your friends are okay picking up lunch to go and having the meal in your living room, you get the association you need without having to be able to make it to the car and sit upright for a few hours. Sometimes you will have to ask for help because no one knows what you really need but you. At other times, people will offer help – don’t turn it down unless you really don’t need it. There’s no miracle cure for chronic fatigue syndrome, but there is a natural therapy that has been helping patients with chronic ailments such as chronic fatigue and fibromyalgia. If you have not heard of it before, we would like to introduce you to upper cervical chiropractic care. What sets this subspecialty apart from general chiropractic? Precision – Diagnostic imaging is used to pinpoint misalignments down to mere fractions of a millimeter. This precision makes it possible to administer gentle and long-lasting adjustments. Low Force – Corrections are gentle. That allows upper cervical practitioners to care for the whole family, from infants to the very elderly. These low force corrections are also long-lasting. Cost-Effective – Long lasting adjustments mean that you can gradually space out visits. This makes upper cervical chiropractic a cost-effective form of care, which is always important when you are dealing with a chronic ailment. If you are suffering from chronic fatigue syndrome, especially if you have a history of head or neck trauma, find an upper cervical chiropractor in your area today. A no-obligation consultation may be your first step on the path to better overall health and well-being.